Houston drag queen Regina Thorne-DuBois couldn’t get to her favorite bar to perform after Hurricane Harvey caused major flooding throughout the city in August. But she decided the show must go on. “Because no one could get out to see a drag show, I said, ‘Well, I’m going to bring the drag show to ya’ll,’” Thorne-DuBois, who is gender-fluid and uses both he and she pronouns, told NBC News. Though her home did not flood, Thorne-DuBois said she was stuck inside for days due to floodwaters that surrounded her neighborhood. The 22-year-old had an idea: She and some fellow drag performers would stream their show live on Facebook from their living rooms. They would also use the social media platform to encourage viewers to send tips, which they would donate to flood survivors. During the first hour of the show on August 28 — two days after the hurricane struck — Thorne-DuBois watched the donations pour in. At that point, she knew she couldn’t stop. The performance, she said, turned into a 9-hour-long “drag-a-thon.” She said they raised $3,000 during the first show. “It was crazy — crazy to see what had happened,” she recalled. Thorne-DuBois said she donated the money to Houston’s Hurricane Harvey Relief Fund. But she wanted to do more. 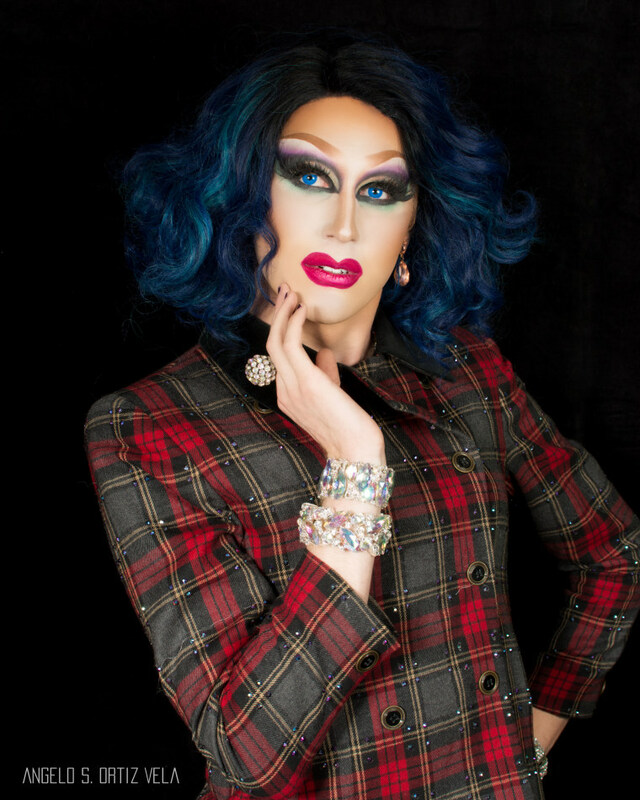 That Wednesday, she held a 12-hour drag-a-thon, which she said raised an additional $1,800 for the Montrose Center, an LGBTQ community center in Houston. “Because the LGBT community is really how drag queens are able to make a living and keep putting food on their tables and paying their bills, I wanted to make sure I could help them out,” she said. “There’s this little hub of love for the LGBT community in Houston, and seeing the support that everybody has, not only here, but the support we’re getting across the nation — it’s eye opening,” she said. Raising thousands of dollars felt “amazing,” she said, but she is most proud that she provided a light-hearted distraction for people who were trapped in their homes. “I’ve had four or five people come up to me and say, ‘I was stuck in my home panicking because there was water outside, and you helped me forget that was happening for just a little bit,’” she added. Thorne-DuBois, whose real name is Ryan Barrett, hosts a weekly show named “The Broad’s Way” at a local bar. She said she started performing in 2014 after watching "RuPaul’s Drag Race" with a friend. “Now, three years later and who-knows-how-many dollars [and] so much glue and makeup, here I am,” she said. Thorne-DuBois laughed as she recalled her first drag performance. She said she lip-synced Britney Spears’ “Toxic” to a bar full of people at a local Houston dive. The University of Houston graduate recently accepted a job at the Houston Grand Opera but has no intention of giving up drag any time soon. She plans to do a drag-a-thon once a month to raise money for families affected by the flooding. “For me to be able to continue spreading that positivity around by helping these people who are in such terrible situations, that’s what keeps me going right now,” Thorne-DuBois concluded. OutFront is a weekly NBC Out series profiling LGBTQ people who are making a difference in the community.